HOME BLOG BRUSH STRIPS BLOG POSTS WHICH TYPE OF GARAGE DOOR SEAL IS BEST? If you have a garage, and you want to shield it from any unwanted pests and weather, then you are probably on the lookout for a garage door seal. But which should you use? There’s many to choose from, and it’s difficult to know which will work best for you and your door. Of course, your decision will depend on what kind of garage you have in the first place, but there's more to it than that. Featuring the Brush Strip Seal, Threshold Seal, Rubber Blade Seal and the Multi Seal, let’s determine the good and bad of each to help you make your decision. The brush strip door seal is a popular choice among buyers, but is it suitable for you and your needs? Well, it is relatively simple to fit, which is always a bonus. The brush strip is fitted to the bottom of the garage door, ensuring things like dust, pests, draught and more doesn’t enter under the garage door. Because the brush strip varies in length and width, it is adaptable to most garage doors, too. Plus, it can be cut down to suit the size you need. 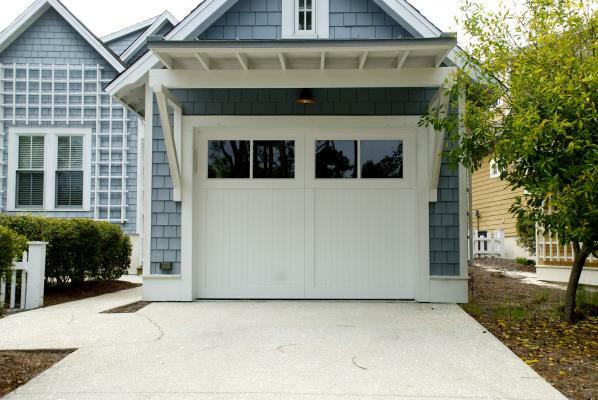 It is best suited for up and over garage doors. However, there are a few things to consider about the brush strip seal. The brush strip isn’t perhaps as strong as its fellow door seals. It will do an excellent job, but the bristles aren’t going to be as robust as a rubber door seal. Although, it is the more cost-effective option for a garage door seal. As a bottom seal, the brush strip will not shield the edges or the top of the garage door. This is normal, but if you have large gaps at the top and sides, you may wish to get another seal instead, or alongside the brush strip seal. Plus, it can be troublesome for some people to fit with the screws. The threshold garage door seal is another go-to seal for many. It isn’t hard to understand why, too, for it has many redeeming qualities. Firstly, it is perhaps the easiest to fit under your garage door. 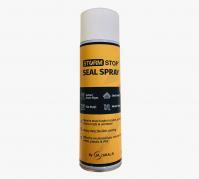 It works as an excellent, strong bottom seal, keeping out pests, draught and dust by sealing the inside of the garage door right to the edges. It is easy for your car to drive over the threshold seal with no fuss, plus the yellow strip on selected threshold seals will make it easy to see in the dark. It is best suited for up and over garage doors and sectional garage doors. There are many good points, but you should know that it doesn’t seal the sides or top of the garage door, meaning if you have large gaps then your garage can still be subject to draught. 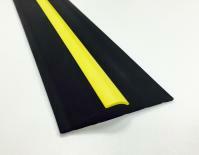 Also, the threshold door seals that are without a yellow strip may be hazardous in the dark. The rubber blade seal is a very effective bottom door seal. It is quite simple to fit, like the others, but this one is stronger and less likely to break. This garage door seal is available in many sizes, too, closing bigger gaps and ensuring to arm your garage against dust, draughts and pests. It is best suited for up and over garage doors, sectional garage doors, and roller garage doors. The rubber blade seal is very effective as a bottom seal, but not so much for the edges or the top. It can be troublesome for some people to fit the seal with the screws, but they come with instructions. The first reason why the multi seal is so good is a pretty obvious one – because it is the only one that seals all around the garage. This means that your entire door can be sealed, ensuring the maximum protection against draught, dust and pests. The multi seal can be cut to size, too, which is very useful for garages big and small. It is best suited for any garage door really, even the side hinged garage door – but not necessarily the top or edges of the side hinged door. However, the multi seal can be a bit fiddly to fit. The use of double sided tape on the door and aligning the multi seal can be tricky, although the method is straightforward. This door seal is not as sturdy or robust as some other seals. Sadly, this type of garage door seal is limited to a 25mm gap. So, which garage door seal you end up choosing will depend on the type of garage door you have, the size of your gaps, where you’d like to seal and more. Check out our range here, and if you have any further questions, don’t hesitate to contact us.